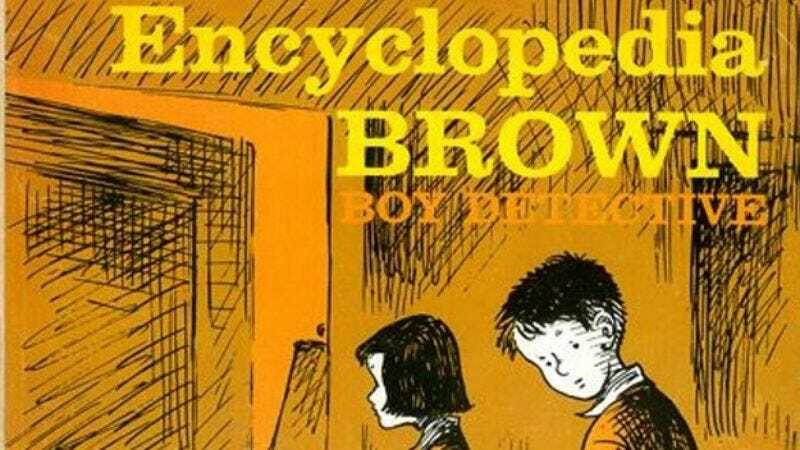 With Fox recently acquiring the rights to make a Choose Your Own Adventure movie, Warner Bros. has made its own foray into adapting interactive children’s literature for today’s inactive children, with Encyclopedia Brown now also being readied for a big-screen adaptation. It’s just the latest in a long line of woud-be leaps for the know-it-all kid detective—whose command of arcane trivia proved repeatedly invaluable in solving so many cases of petty theft or minor graft, most of them pie-related—as The Hollywood Reporter recounts all the various failed incarnations that have come before. As the article notes, in addition to the HBO show that updated the character to the late ‘80s by giving him hair gel and a tiny blazer, producer Howard David Deutsch has overseen attempts by talent as far-flung as Ridley Scott, Robert Luketic, and even Goldie Hawn and Chevy Chase to bring it to theaters. For this most recent attempt, Deutsch has partnered with Roy Lee, nostalgia-miner behind the upcoming Lego and Archie movies, who certainly has the necessary experience. However, as before, this project seems likely to be thwarted by Encyclopedia Brown’s creator Donald J. Sobol, who has repeatedly fought with Mr. Deutsch over the rights. HOW DOES ENCYCLOPEDIA KNOW THIS MOVIE WILL BE DEVELOPED? Turn to page 94 for the solution to The Case Of The Nostalgia Property And Something About Pies. Because Donald J. Sobol is dead.